Congratulations on your engagement and thank you for considering Prosperity Kitchen and Pantry for your wedding! At our Bakery in Virginia Beach, we use organic and natural ingredients, along with in-season produce and European butter. Our wedding cakes are decorated in a rustic and simple style iced with buttercream. You can add icing decorations, fresh flowers and seasonal fruit. We believe that no order is too small whether it be a single-tiered or multi-tiered cake. Every couple has a story to share and each cake is created to suit their taste. We’d love to sit and discuss with you and help select the perfect cake to mark your special occasion. To begin the process, we’ll schedule a phone consultation to discuss the design details of your wedding. We love to see your Pinterest boards and inspiration images, too, so feel free to send those over prior to our phone call! After we’ve had a chance to discuss your wedding and our process, we’ll schedule a cake tasting and design consultation. 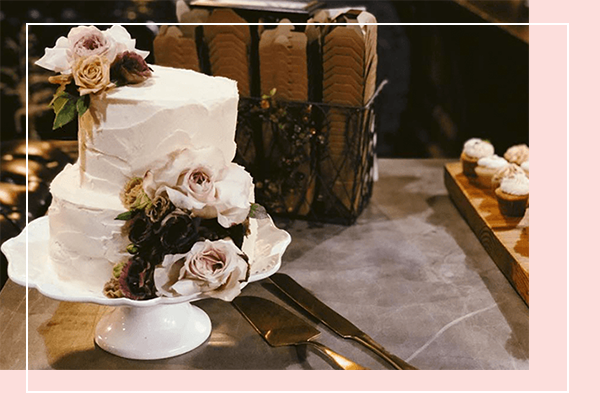 A cake tasting is one of the most fun aspects of wedding planning and we are thrilled to offer cake tastings to couples in search of their perfect wedding cake. 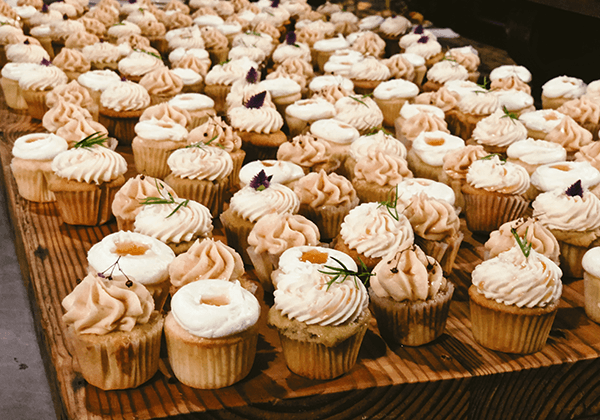 All tastings include an assortment of cake, filling, and frosting flavors for you to mix and match, plus a glass of complimentary champagne, or beverages of your choice. Cake tastings cost $35 per couple. Please note that we need one week notice for cake tastings. Some of cake flavors include yellow cake, Champagne, yogurt, yaupon and rye pound cake. Fillings include peanut butter, peach jelly, pastry cream, strawberry jelly and dulce. 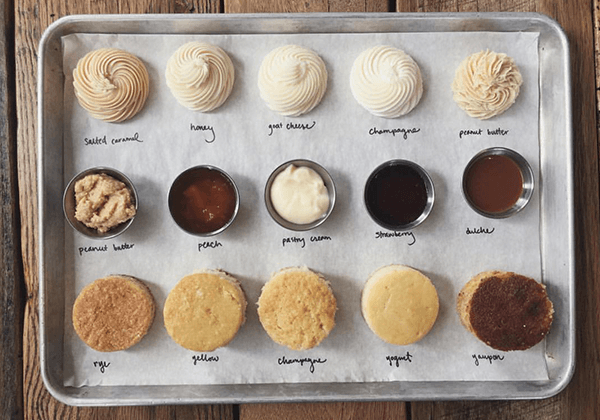 Buttercream flavors include slated caramel, honey, goat cheese, Champagne and peanut butter. We’re always willing to work with clients to make custom flavor requests. For a personalized quote on your wedding cake, please fill out or easy online form. Please include the event date, the number of people you would like to serve, your preference of cake flavors, including any dietary restrictions, and the venue location. Final pricing will include an assembly and delivery fee. The delivery/set up fee outside of Virginia Beach, VA will depend on the venue location and the complexity of the cake. Please note that we require at least 5 days notice for custom cake orders. Enter your cake details here, our baker will contact you to finalize details.